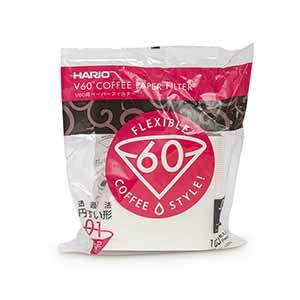 Hario’s V60 brewer is probably the poster-child for pour-over brewing and third-wave coffee. 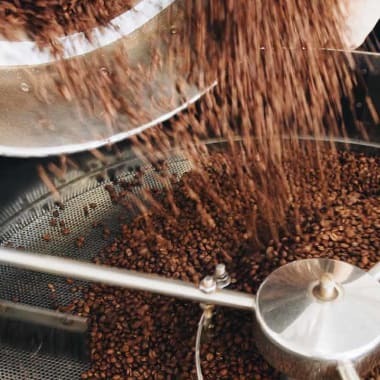 Easy to learn but with a whole range of variations, it’s the method you’re most likely to see in your favourite brew bar or cafe. 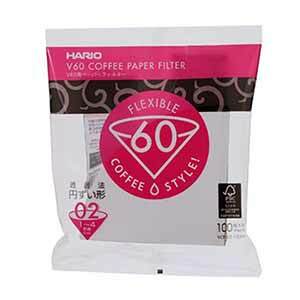 Put filter paper into your V60, and place it on top of your mug or server. Rinse the paper with hot water, then discard the water. 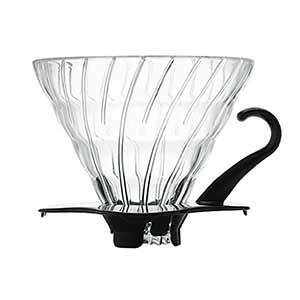 Grind 15g (for 1 cup) 30g (for 2 cups) of coffee and place it in the filter. 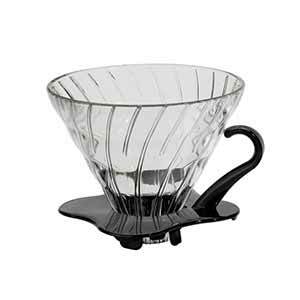 Gently tap the V60 on the bench to settle the grounds into a flat bed. You’ll need a slightly more coarse grind when brewing with 30g for 2 cups. Gently pour in 50g (for 1 cup) 50g (for 2 cups) of water, just off the boil. It helps to pour the water in a circular pattern from the outside of the filter towards the centre. Gently pour in more water until you’ve added a total of 250ml (for 1 cup) 500ml (for 2 cups). Pour using a circular motion. Pour each new batch of water in gently, trying not to disturb the coffee grounds too much. Gently stir again once the pour is complete. Swirl your server or mug, then enjoy!